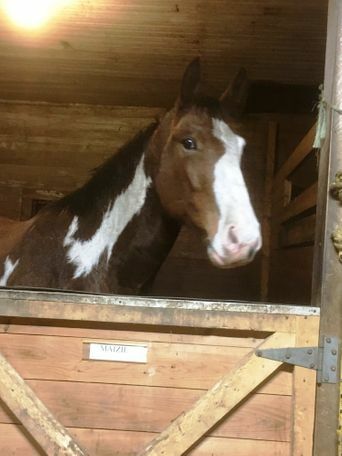 Brody is a young up and coming sport horse. 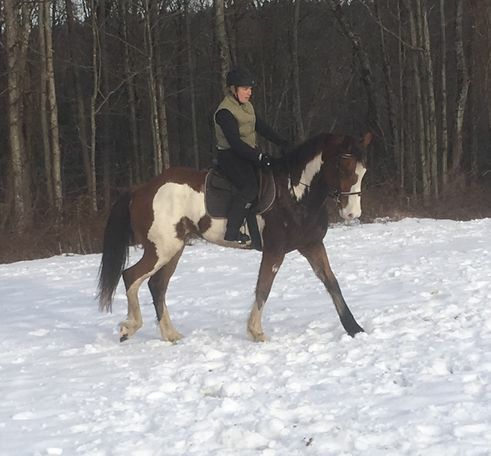 One owner bred in Va as a Sport Horse. Perfect project for the rider who knows what they are doing and what they want. He is light on his feet despite his size and is willing and personable. 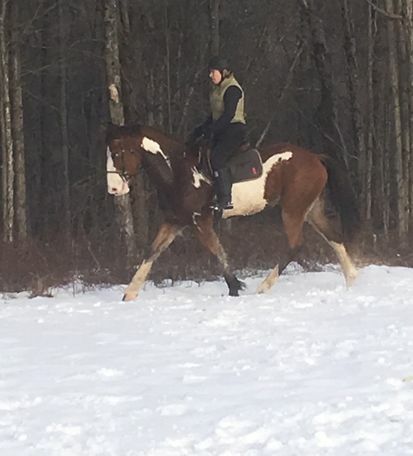 He is still to be considered green but has many miles out in the woods and has been handled since he was 4 months old. Recently began his schooling in an arena, he demonstrates balance and good coordination. 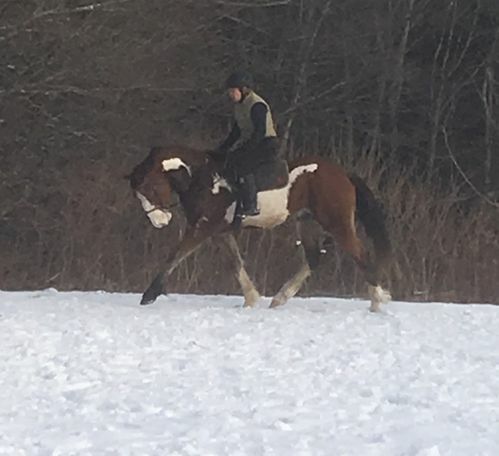 Started over cavaletti jumping should be easy in the future. Snaffle mouth, currently barefoot and UTD on health record. Full disclosure does not like clippers (yet). No vices no soundness issues. Videos avail.